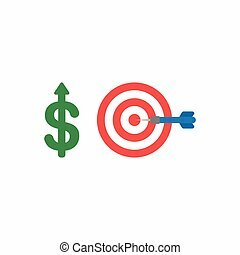 Flat design style vector illustration concept of red and white bullseye with blue dart icon in the side on white background. 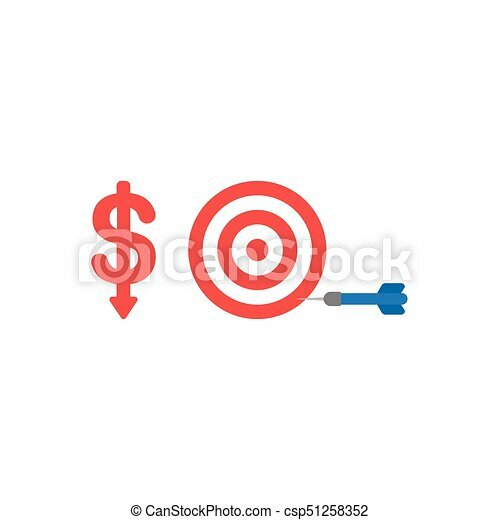 Flat design style vector illustration concept of yellow glowing light bulb plus grey gears equals red and white bulls eye with blue dart symbol icon in the center on white background. 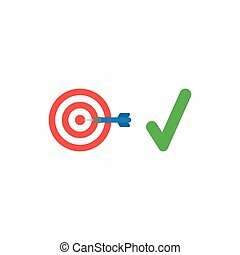 Flat design style vector illustration concept of red and white bullseye with blue dart icon in the center on white background. 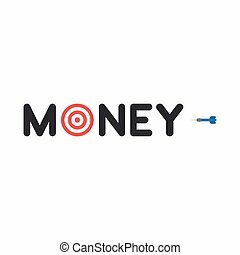 Vector illustration concept with money text. 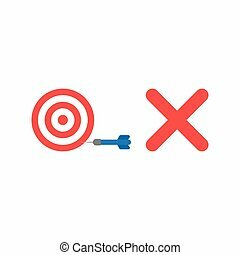 Red and white bulls eye instead of o letter with blue dart beside the text on white background with flat design style. 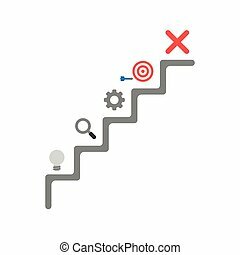 Flat design vector illustration concept of grey stairs with grey light bulb idea, magnifying glass, gear, bulls eye with dart in the side and red x mark symbol icon. 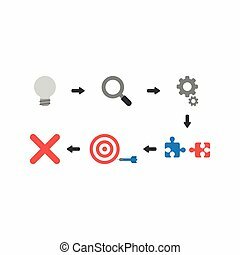 Flat design vector illustration concept of unsuccess with grey light bulb bad idea, magnifying glass, gears, incompatible jigsaw puzzle pieces, bulls eye and dart in the side and x mark symbol icons. 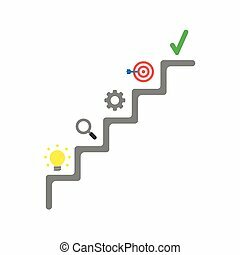 Flat design vector illustration concept of grey stairs with glowing yellow light bulb idea, magnifying glass, gear, bulls eye with dart in the center and green check mark symbol icon. 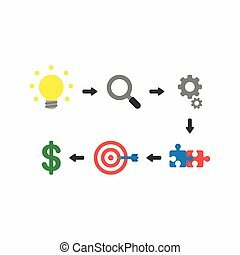 Flat design vector illustration concept of success with glowing light bulb idea, magnifying glass, gears, connected jigsaw puzzle pieces, bulls eye and dart in the center and dollar symbol icons. 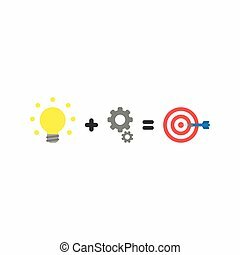 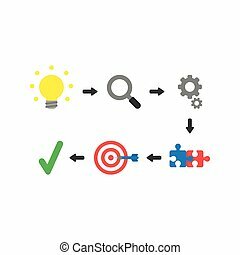 Flat design vector illustration concept of success with glowing light bulb idea, magnifying glass, gears, connected jigsaw puzzle pieces, bulls eye and dart in the center and check mark symbol icons.